They’re not just cool candles. 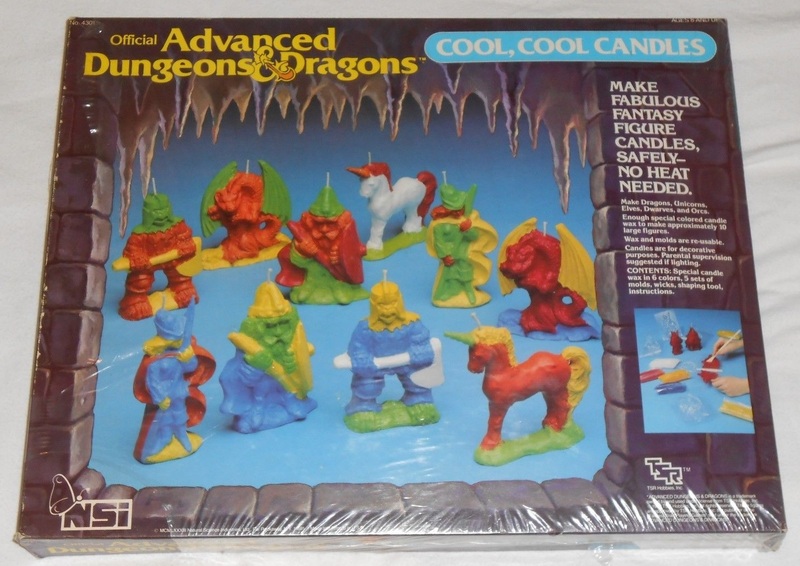 They’re cool, cool candles. 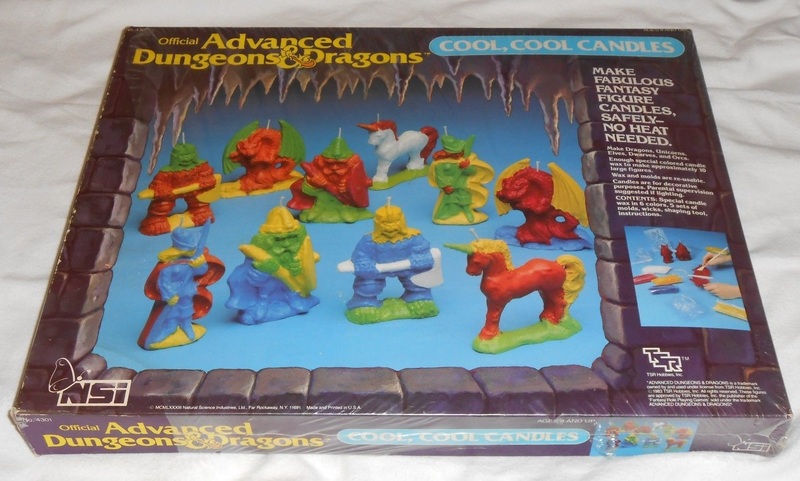 Do they represent the most obnoxiously irrelevant D&D product license ever to come to market, or does that honor go to the AD&D Woodburning Set, also from NSI? Either way, the candles are colorful, fun, and cool times two (times three, even!). 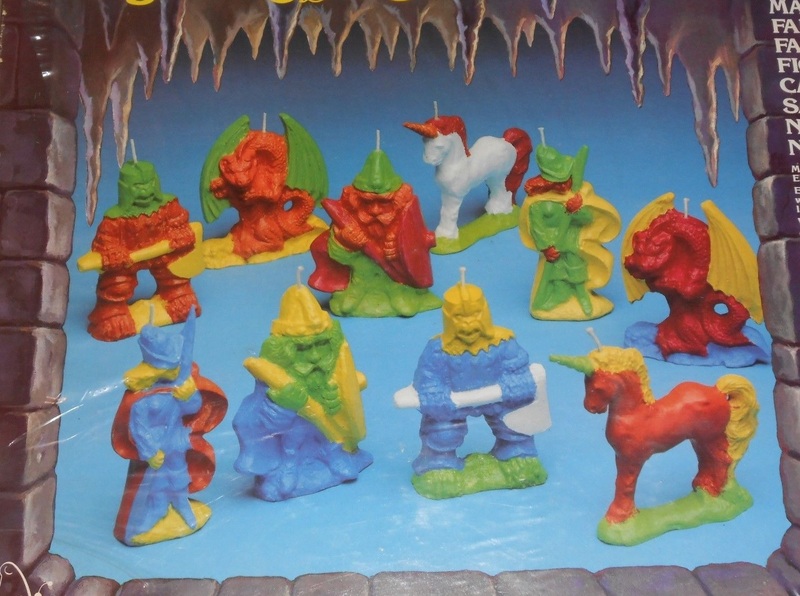 I would like to line them up on my desk and light them while listening to First Quest: The Music. I can see where this would be irrelevant, but the thought of fighting a dragon and, without consequence or harm to a normal miniature, being able to take out a lighter and set that dragon’s head on fire for the battle is fantastic. I can see these being really well used in certain campaigns. Yes. Fire (I mean real fire, not a fireball spell) is a great addition to any role-playing session, in my opinion. As long as that role-playing session is not at my house.